Responses to the iPad have ranged from rapturous delight to snide slams. (CNN) -- Within hours of Apple CEO Steve Jobs's breathless iPad presentation -- he called the device "extraordinary," "unbelievable" and "a dream" -- the independent reviews from techie types began rolling in. Some shared Jobs' rapturous delight. Others snidely slammed the machine on counts ranging from its lack of features to its name. Many adopted a more cautious, wait-and-see approach. We rounded up some of the best commentary from tech bloggers to provide a sampling of what's being said about the most highly anticipated gadget in months, if not years. Once again, it becomes clear that Apple doesn't want to sell devices that can do everything; they want to find the best form factor to consume some types of digital content, and then focus on them. If you look at it, you can do pretty much everything on your personal computer; by that philosophy, you don't need anything else besides a laptop. And yet, you've now got smartphones and e-readers selling very well. Could it be that one powerful device is not as good as several less powerful, but more focused ones? When the iPhone came out, BlackBerry users were like, "No flippin' way." And guess what, those people still buy BlackBerries. The point is, the iPhone wasn't designed to win the hearts and minds of people who already knew their way around a smartphone. It came to convince people walking around with Samsung and LG flip phones that there was more to life. And it worked. Steve Jobs very explicitly placed the iPad in the category class between the phone and notebook, and it very nicely splits the difference between the two. And that's precisely why I'm a bit disappointed by it -- it doesn't share enough of the features of either one of those two devices to actually make it useful to me. When I leave the apartment for anything beyond local errands, I'm almost invariably carrying both a cell phone for communicating and a laptop for getting work done. A truly useful device would be one that could let me leave one of those devices and its added bulk, cables, and worries about charge status at home. ... The iPad doesn't do that. 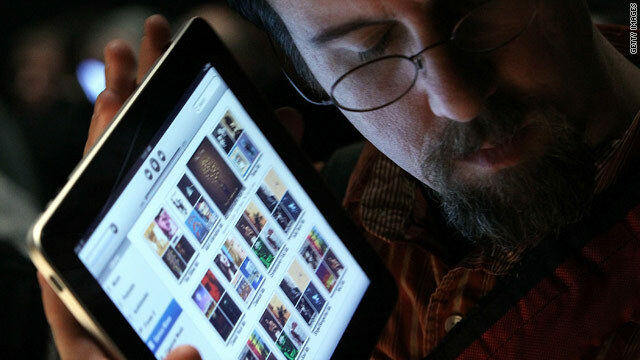 When it launches, the iPad's initial target audience is iPhone and iPod touch users. Why? Because they are already very comfortable with the way you need to interact with this device. The moment I picked up the iPad today I knew exactly what to do with it. ... Meanwhile, I watched some other people who said they didn't use an iPhone regularly interact with the iPad for the first time and it was not nearly as seamless. The Apple iPad is a bit of a misfit. Like an iPod Touch with a glandular problem, a complicated pricing scheme, and a name that will fuel weeks of late-night comedy monologues, the iPad has a rough road ahead of it. Fortunately, I'm fond of misfits. I mean, I'm the guy who thought the Chumby was a good idea. More importantly, I'm a fan of disruptive technology -- and for all the snickering, jaded, eye-rolling comments the iPad will get, it is going to change the way we think about mobile technology beyond the smartphone. If Steve Jobs hoped to answer the question about why we need this third device, or how it's better than a netbook, he didn't make a compelling case. ... Now there isn't a doubt in my mind that the iPad will really come into its own when developers get their hands on it, and I know that I'll find a reason to drop $500 (at least) on this thing -- but for the vast majority of consumers, I think the case for the iPad has yet to be made.